An ancient Greek tragedy by Sophocles holds a lesson for modern Kashmir. In mid-2017, the mediascape in India was consumed by debates about the deaths of two young men. The first was Lt Ummer Fayyaz Parray, a young army officer who was abducted by militants from a wedding in the Shopian district of Jammu and Kashmir in May 2017 and killed. Fayyaz was on leave, and unarmed at the time of his death. The militants who murdered Fayyaz were later tracked down and eliminated by Indian security forces in April 2018. The second young man was Burhan Wani, a militant active on social media in the Kashmir valley, who was killed a year earlier by the Srinagar unit of J&K’s Special Operations Group (SOG). As a result of the protests that followed his killing in Tral, public funerals began to pose increased security threats, as militants exploited these outpourings of sentiment in order to recruit alienated Kashmiri youth. The choices that these two young men made with their lives became the subject of intense media scrutiny. One was a model to be emulated by Kashmiri youth, while the other stood for moral bankruptcy. For some, it was a false choice spun by the media that simplified the complexity of the insurgency into a case of black and white. For others, the comparison itself was reprehensible. 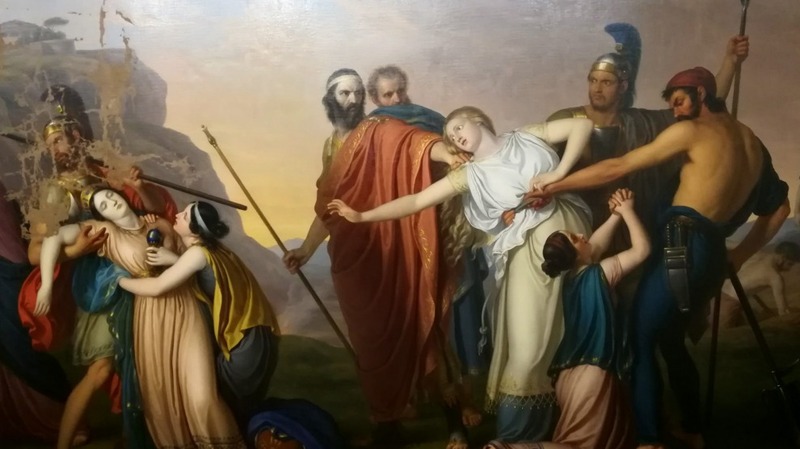 In a macabre moment of life imitating art, these public reactions bore an uncanny resemblance to the central conflict of Sophocles’ Antigone written in 441 BC. The action of Antigone takes place in the aftermath of a bloody succession battle between the sons of Oedipus, Polynices and Eteocles, in the city-state of Thebes. In a fiercely-fought battle, Thebes is successfully defended against a foreign army raised by Polynices, but both brothers are killed in the fighting. Creon, left with the task of restoring order, decrees that Eteocles will be buried a war hero. Polynices, a traitor who led an army against his own people, is denied funeral rites. Creon outlaws any attempt to bury him as an act of treason. Antigone, the sister of Polynices and Eteocles, defies the law and tries to bury her brother. Creon’s decree was meant restore order to the polis, the political society of Thebes. For Antigone, her spiritual duty to family and her brother’s soul superseded any worldly attempt to mark Polynices a traitor. The play, in the spirit of Greek tragedy, ends with Antigone taking her own life. Creon loses both his son and wife. The play makes a powerful statement on the need for ethical moorings for the exercise of power in a republic. What can an old Greek text tell us about modern counter-insurgency? Not much, by way of direct applicability. In terms of equivalence, however, there is a remarkable parallel. In the foreword to David Galula’s classic manual on counter-insurgency written in 1964, the observation is made that the author “spends three times as much attention to information operations as to traditional kinetic warfare.” In democracies where public opinion can constrain political decision-making, and influence the nature of military operations that may be conducted, the strategic importance of information remains profoundly relevant. As was seen in the valley in 2016, the chance killing of Burhan Wani in a counter-insurgency operation set off local sentiment in a manner that began to distort perspective and create a public discourse of hysteria and hyperbole. Despite objective conditions improving in Kashmir since 2001, the information environment began to deteriorate with misinformed claims that the valley had reverted to a “1990s like situation.” As the incidence of fatalities shows, there has been an uptick in the number of people who have lost their lives since 2012, but the violence is nowhere near 2001 levels, and remains highly localised. The counter-insurgency in Kashmir has had many up and downs, ranging from calls for maximum restraint to the launch of focussed offensives aimed at eliminating militant leadership. Some tactics adopted by security forces, especially clampdowns on social media, may well have deleterious effects in the long run. But with militants leveraging viral videos to spread jihadist ideology, there are few immediate alternatives at present. While recruitment numbers indicate a worrying trend, what is clear is that the conditions for the improvement of the situation in Kashmir have been created by security forces. What is missing is inspired political leadership that can convert operational gains into beneficial outcomes. At present, the valley remains hostage to the politics of grief consumed by the public spectacles of funerals and the chimera of martyrdom. Like Creon, political decision makers are engrossed in debates about heroes and villains, instead of creating the conditions for lasting positive change. In his lifetime, Sophocles witnessed the ravages of both the Greco-Persian Wars and the Peloponnesian Wars. When it came time to judge the literary substance of Antigone, it is believed that it was the strategoi of ancient Athens that decided the play merit-worthy. One might speculate that they understood the value of Antigone in the early days of the republic, for its powerful conceptualisation of justice, reconciliation and the restoration of order. In a milieu of cynicism and impasse, this equivalence allows us to view the situation in Kashmir from a different perspective, and perhaps provoke the imagination of a desired end state for what has been an intractable problem. 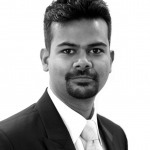 Ram Ganesh Kamatham is an Associate Research Fellow at Takshashila Institution, Bengaluru. His research occurs at the intersection of culture and strategy. He contributes to the course on Ethical Reasoning in public policy and the Graduate Certificate in Strategic Studies.